Lauren Budnick and Brooke DeLeary of the faith-forward pop duo LOVECOLLIDE announce their third full-length album, Tired Of Basic, which is set to independently release April 13 on ABS Entertainment, LLC with global distribution for the first time through The Fuel Music. With Tired Of Basic, the girls continue to shatter expectations, recording a soundtrack that is meant to be a revolution against boredom, mediocrity and status quo living. 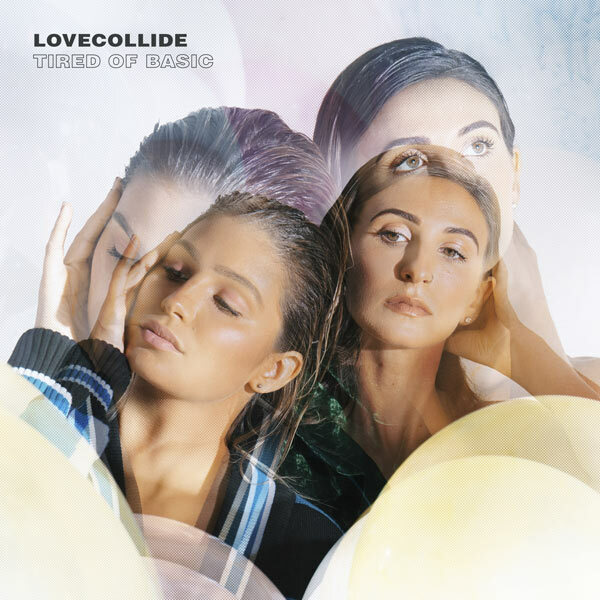 Sonically, Tired of Basic finds LOVECOLLIDE experimenting with cutting edge pop sounds courtesy of producers Riley Friesen (Family Force 5, Group 1 Crew) and Matt Dally (Superchick, Jamie Grace), while the lyrics have emerged from a season filled with doubt, loss, depression and uncertainty. LOVECOLLIDE deploys earworm hooks to address topics like being “awake” in Christ, God’s relentless pursuit of humanity, surrendering dreams to God and trusting Him in the midst of uncertainty, the latter being the theme of the first single from the album, “I Don't Want It,” which goes for radio adds beginning Jan. 26. In addition to the new music, Lauren formally announces that she has taken a new name following her marriage Jan. 6 to longtime LOVECOLLIDE drummer Adam Budnick. The couple’s engagement and wedding story, along with photos, can be seen at The Knot. Having started a band together when they were just tweens, Nashville-based LOVECOLLIDE siblings Brooke and Lauren share a passion for revival and extraordinary, bold living for Jesus. The duo first hit the Billboard charts in 2016 with the song “Mother of the Son of God”. The girls were featured in the hit movie God’s Not Dead 2 leading the song “How Great Thou Art” and in Hayley Orrantia's music video “Strong, Sweet and Southern” while Lauren was in a Nashville TV series film trailer. Together they have also shared stages with Natalie Grant, Sidewalk Prophets, Unspoken and others.